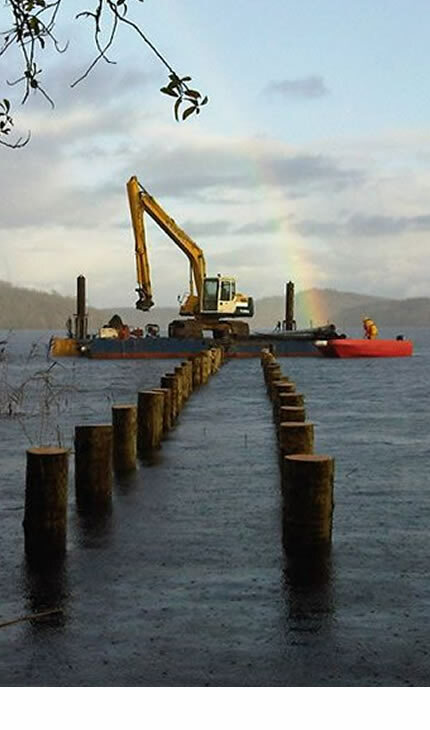 We undertake specialist contracts such as dredging, piling, scour defence and marina installation. 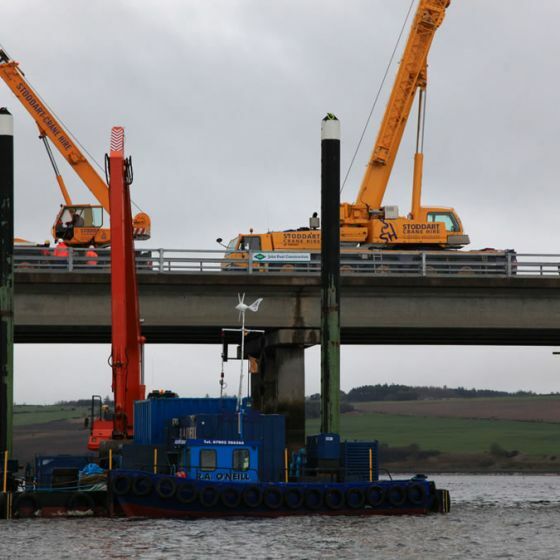 We can supply specialist marine plant hire such as long reach excavators, barges and work boats for a variety of uses. Our equipment is road transportable and offers adaptability and flexibility for a wide range of uses and locations. Our team is dedicated to getting a good job done on time and within budget, we have many satisfied customers. We have a range of long reach excavators and a variety of attachments to make the job easier. We have 2 spud leg barges and some hopper barges that we can use for your proejct. Can we help with your upcoming project? Have you got a question or would like to find out more? R.A. O' Neill Ltd are a company that specialise in marine work throughout Ireland and the U.K. Acting as a main contractor on small contracts and as a sub contractor on larger schemes. 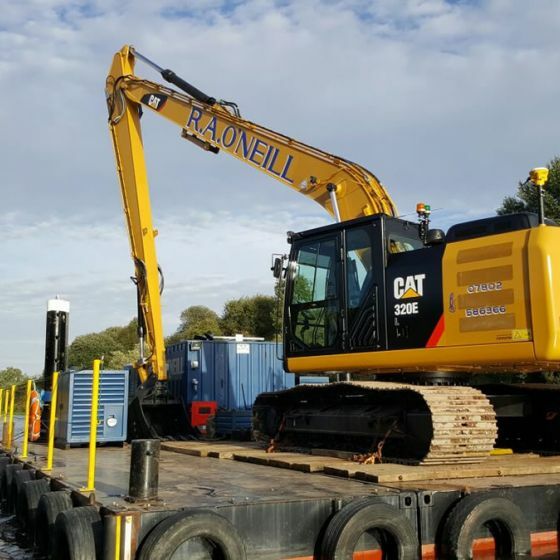 We also supply specialist marine plant hire such as long reach excavators, barges and work boats or any specalist application tailored to suit our clients needs. We undertake specialist contracts such as dredging, piling, scour defence and marina installation. We have a vast knowledge and experience in all these areas of works. We possess all the equipment and experience necessary to deliver an efficient and professional job. Click on the links above to see a full description of the machines and equipment we have to offer including long reach excavators, spud leg barges, hopper barges, work boats etc. R. A. O’ Neill is now one of the leading marine contactors in Ireland with a growing list of satisfied clients. 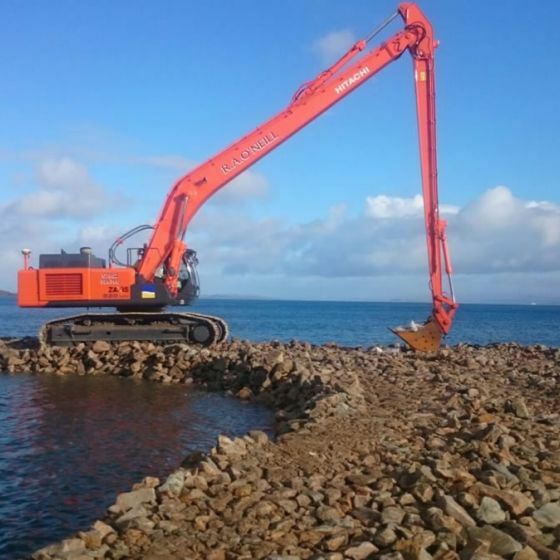 Specialising in a range of marine civil works the firm has been involved with some of the country’s most prestigious schemes in recent years and has worked closely with several of Irelands major contacting organisations, government and local authorities. As a result of recent commitments the company has acquired an impressive range and diversity of marine plant and equipment enabling it to consider an undertake a multitude of tasks within the marine based environment, on rivers, lakes and inner harbours. All of our equipment is road transportable and consequently offers adaptability and flexibility for a wide range of uses at a variety of locations. All equipment is maintained to the highest standards and is available for charter and contract work. We cover all of the United Kingdom (UK), including England, Scotland, Wales, Northern Ireland (NI) and Ireland. So if you need a professional marine contractor or marine plant hire then get in touch with us.